The following photo was sent in from Iris, and I am pleased to be able to show it here. Iris was a member of the BCal airport staff at Toronto at the time the Lancaster came through. Iris's brother-in-law is Rohan Alce and at the time he was BCal's Manager Canada. 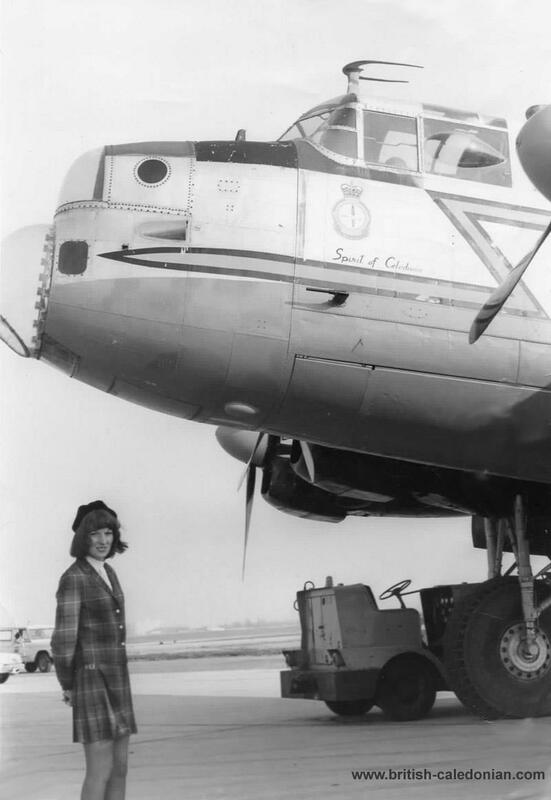 Rohan took this photo of Iris at Toronto airport during the stopover of Lancaster "Spirit of Caledonia" on its way to the UK, flown by BCal crew.